Preparing Financial Statements – Saul N. Friedman & Co. Finances form the basis of all businesses. That is why it is of paramount importance to ensure that every detail of financial statements is correct. A financial statement acts as a formal record of all financial activity of a company. Accurate and up-to-date financial statements allow businesses to make more profitable decisions, detect fraud or costly errors, and provide proof of success and integrity to other businesses. 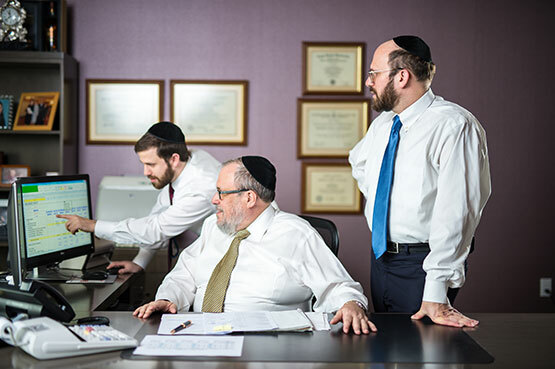 With our experience of over forty years of trusted, impeccable service, Saul N. Friedman and Company is prepared to help your business prepare financial statements with meticulous precision. Saul N. Friedman and Company helps both small and large businesses prepare financial statements. Business leaders may choose to analyze financial statements to fully understand the finances of their companies to assess and plan for the future. Additionally, Government agencies, outside investors, banks and other third parties often require certified financial statements demonstrating credibility and responsibility before approving public grants, bank loans or entering a business agreements or transactions. To meet the needs of all clients, we offer various levels of preparation; Compilation, Review, Audit and other engagements recently promulgated by the AICPA. We will guide you on which level of engagements is best for your specific situation.